Many of you probably love to play games for recreation and entertainment. But as I have mentioned in my other posts, they can also be used to enhance and enrich educational experiences. These are called serious games. The combination of learning and fun is a potent force in today’s corporate world. To generate innovation and maintain competitive edge, organizations need to align themselves with market changes, both domestically and globally. As far as processes are concerned, this means that employees must adapt by continuously learning new skills and sharpening their abilities to solve problems- just doing the job in the same routine fashion doesn’t lead to the same growth. Traditional ways of teaching often mirror conventional classrooms. These include lectures with whiteboards, hand outs in the form of quizzes and surveys and instructional videos. Most people passively react to such formats. Participants may remember terms and information and they may be able to pass certain tests but this can offer a false sense of comfort as their ability to apply their new knowledge to actual, real-life problems remains untested. Besides training team members, there is also the challenge of educating and training clients. Clients often need to have a deep level understanding of how a particular product works. If there are enormous technical complexities, the information can be particularly daunting and frustrating- not very good for maintaining a happy customer base. And in addition to employees and clients, corporate decision-makers also need to maintain regular learning initiatives to understand the perspectives and preferences of their clients. And with these insights, they must continuously make decisions to develop their products so that they are relevant to the needs of their customers. All these objectives require effective learning where information is quickly assimilated in order to be applied for the best possible results. Very little time can be afforded to make transitions from conceptual knowledge to astute action. This is where the power of games can make a huge difference. Here are five companies (in no ranking order) who are dedicated to developing software and platforms that optimize learning experiences through game mechanics. PlayGen is a company whose products are based on the expertise of specialists across many different disciplines. Coders, technical innovators, creative designers, psychologists and strategists work together as a team to create customized games and simulations for their clients across many different sectors such as education, health and communications. They focus on influencing and driving targeted behaviors through their applications. One of their platforms is the COLLAGE project which is supported in part by the European Commission and their partners. Gamification principles are used to foster both learning and social creativity in the work environment. Innovation Games focuses on innovation, which is pretty clear from their name. Innovation can mean a lot of different things. But it needs to be focused. What ultimately matters is being able to produce offerings that are highly relevant to real life market needs. Interactive visual collaboration games. 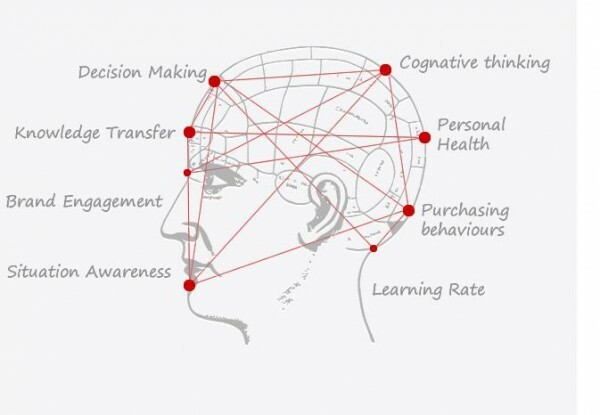 Companies can play these with their clients to generate insights about what is truly desired. Tools for the sales team to gather information about the needs of their clients and to prioritize them. Virtual market games to help the development team make reliable decisions about which features to build immediately and which ones to set aside for future iterations. Much of Caspian Learning’s work focuses on helping their clients create the best training experiences possible. Again, games can help facilitate learning and retention. But going beyond basic assimilation and recall, they can also cultivate practical new skills and prepare team members for successfully tackling situational challenges. 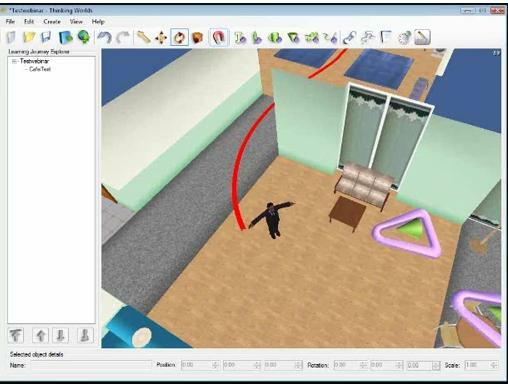 Caspian is able to develop customized serious games and 3D simulations for organizations. They also offer more standardized solutions by licensing their software to their clients who would then be able to create their own games. Cutting edge learning tools such as these can certainly take the boredom out of conventional training manuals and presentations. And perhaps even more importantly, they can also help organizations make faster progress in being able to deliver new offerings to their customers. With “Play. Learn. Become” as the tag line of Virtual Heroes, this company specializes in 3D simulations, mainly for medical or military training. In these fields accurate decisions and fast action can often means the difference between life and death. Therefore, proper training is needed to cultivate true heroes. Due to the serious and often dangerous nature of these challenges, it is nearly impossible for new trainees to practice in real life contexts. 3D simulated environments offer a higher level of safety where novice personnel can practice essential skills without putting anyone at risk. For example, in emergency room situations, patients are able to interact in simulated scenarios where they can learn from their mistakes without endangering actual patients. They can be trained to think quickly and make appropriate life saving decisions. These scenarios can be modified to present novel challenges that offer more opportunities to practice. Data can even be collected at the end based on the players’ good and bad performance. This helps instructors know what to focus on in when designing their curriculum. Morf Media brings complex and dry information to life through enjoyable game mechanics (in full disclosure, I serve a member of their Board- so yeah, I’m a little biased). Many of their rich media applications are geared towards the educational and financial sectors. For example, one of their clients includes MacMillan Education. However, they have also developed projects for corporations like IBM and are currently innovating around presenting complex material in an easy-to-learn platform. Whether students are learning about business principles or a new language, courseware no longer needs to exist in the form of endless pages of information in a binder or textbook. Instead, it can be presented as immersive and interactive e-learning environments. Many people would describe their school experience as painfully boring. A teacher delivers lectures to us verbally. And white boards (or even occasional videos) help to provide the visuals we need. Students passively sit in their seats, mindlessly taking notes. And this is followed by reading and textbook assignments. However, research shows that most individuals need to understand the larger direction and the point of what they are learning in order to make sense of the details. This requires proactive involvement with the information. And in the real world, digesting information is not enough. We need to be able to apply it to create the results we want. Studies have also shown that our nervous systems are wired to best interact and communicate through playful engagement. Therefore, gamifying learning experiences can lead to faster learning, innovation, and skill development. This enables ideas to transition into actual results within a much shorter range of time. Do you have other examples of serious game platforms that are uniquely gamifying the corporate training and client education space? Share below!